EXTENDED DEADLINE for the submission of papers for the 1st International Workshop on Virtual Reality, Gamification and Cultural Heritage. The new deadline is the 31st of August 2016. 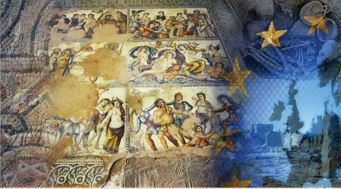 The 1st International Workshop on Virtual Reality, Gamification and Cultural Heritage (VRGCH’2016) will be organized in conjunction with the 6th International Euro-Mediterranean Conference on Digital Heritage (http://www.euromed2016.eu/). VRGCH’2016 is organized by the Social Computing Research Centre (http://socialcomputing.eu/) of the Cyprus University of Technology. It is an international forum devoted specifically to the applications of Virtual Reality and Computer Games in the field of digital Cultural Heritage. The workshop is organized as part of the project NOTRE.